Breakfast on the weekends is one of my favorite meals. A long weekend makes that even better. I decided to go on a mini adventure on Black Friday to Worcester to see my good friend and fashion designer Warlene of Warlene Rene Handmade. I found Livia’s Dish after doing some research and finally settled on them to meet her there for breakfast. When I walked in I really loved the homey atmosphere and the way everything was set up. They have a two level dining area separated by a few steps with a bar on the second level. The menu was extensive and they also had several delicious flavors of Mimosas. The Peach Mimosa pitcher was enough for the two of us and we each had three Mimosa’s- great value! 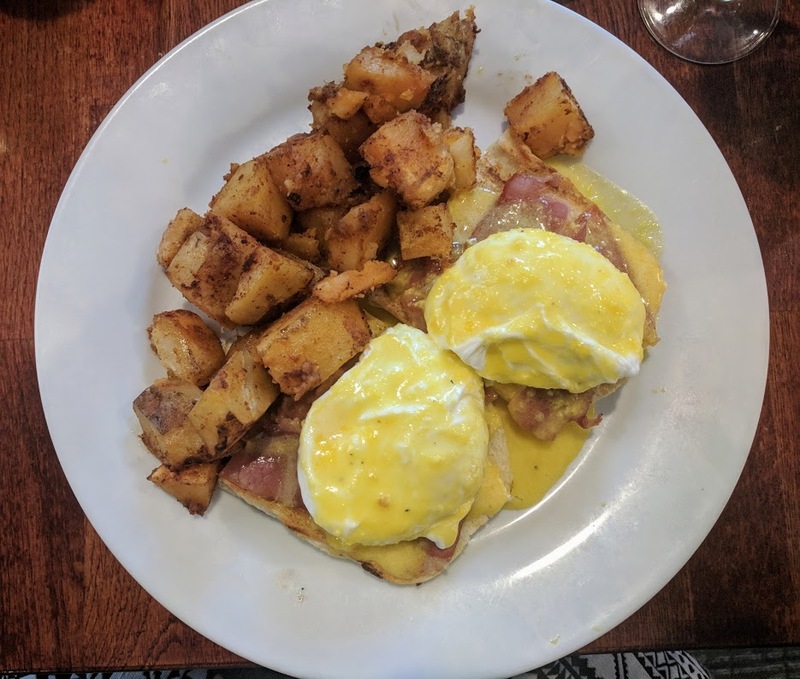 Not Quite Eggs Benedict -Poached Eggs, Toasted Focaccia, Crisp Prosciutto and a Creamy Hollandaise Sauce – I also order Livias Potatoes as my side- SO GOOD. Livia’s Dish is a definite must try if you are in the Worcester area. Great dishes, good atmosphere and local to several things to do in the area! December 26, 2017 May 1, 2018 by Timna N.